Hey everyone! 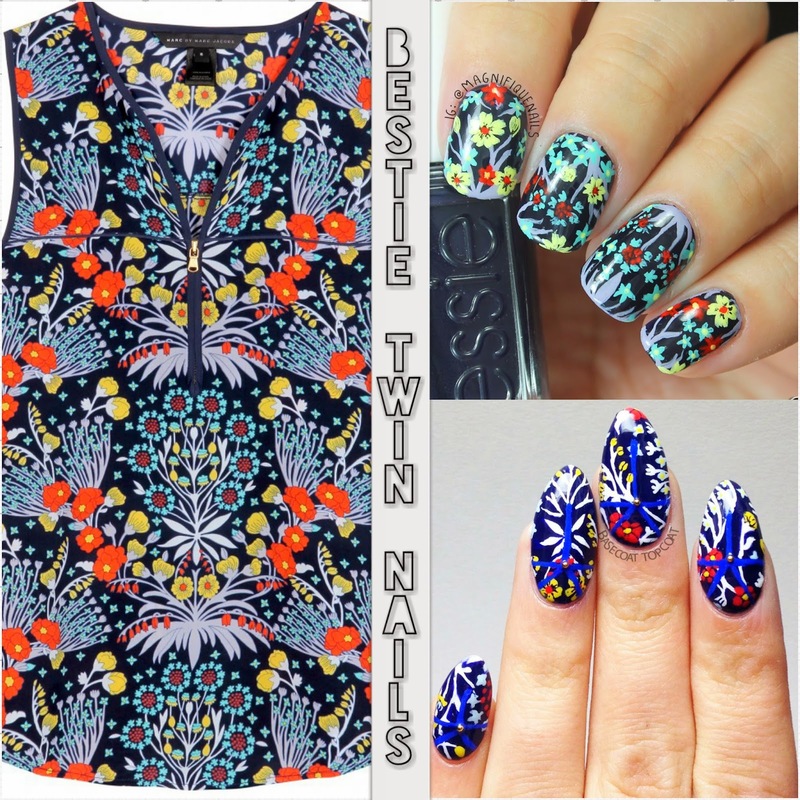 I’m so excited to share you guys my Bestie Twin Nails with the super incredibly talented Kelly from Basecoat-Topcoat. I was honored that she accepted to do this with me, since I’ve been a fan of her nail art. She is definitely one to follow, if your not!! 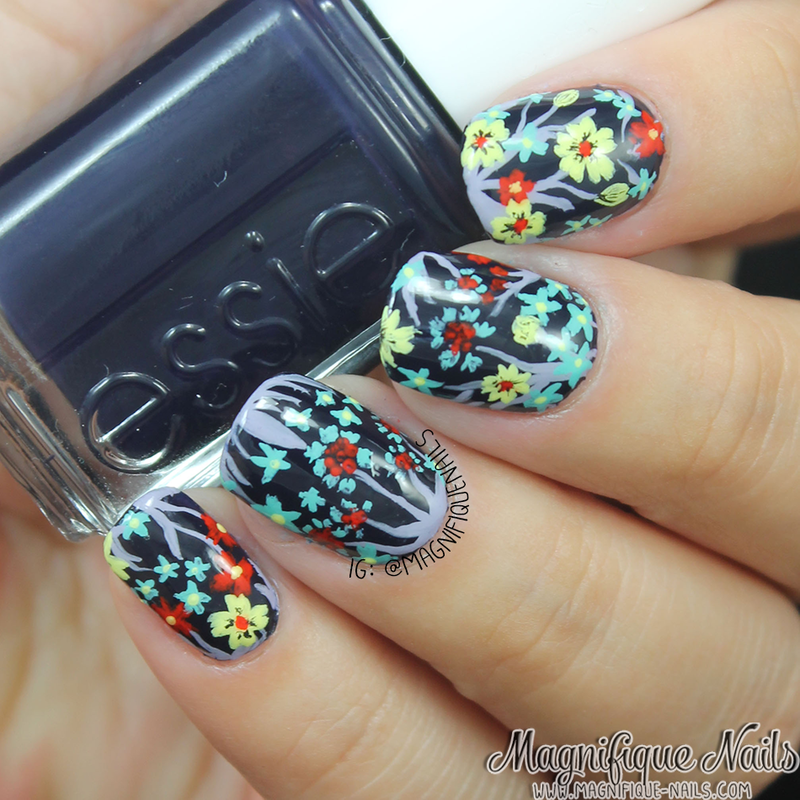 So for our bestie, we both were inspired by Marc Jacobs Intl floral pattern. Loved how they both came out! I highly suggest you go follow @kellyohstein (on Instagram), you won’t regret it. 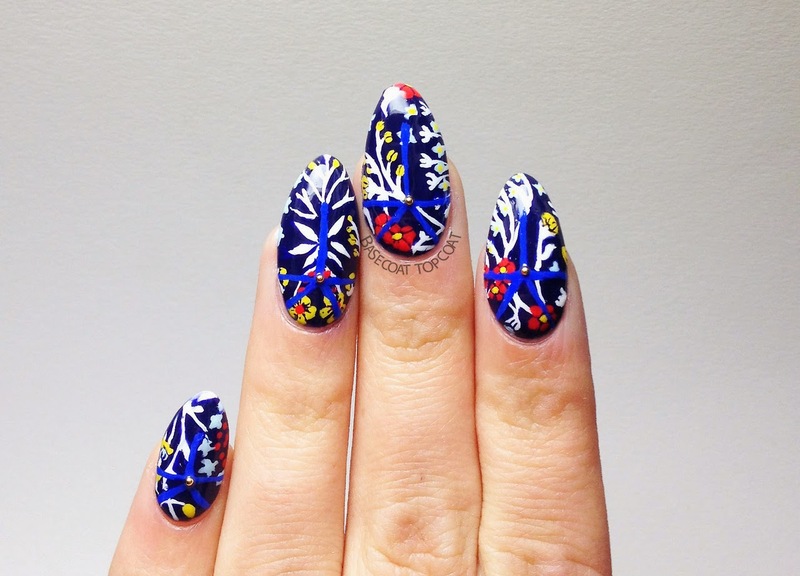 When first saw this design I knew I it was the perfect print to recreate...it was all based on florals, how hard can that be! Wrong! This was the most complicated design I've ever had to recreate. I like to challenge myself, but this was truly a challenge. For the base, I used two coats of Essie After School Boy Blazer. This was the perfect shade that was similar to the shirt and I thought, since I haven't used it, why not use it for this perfectly, complicated, design haha! Once the polish was completely dried, I started by figuring out where to place the florals and "doodle" some them onto the nails. 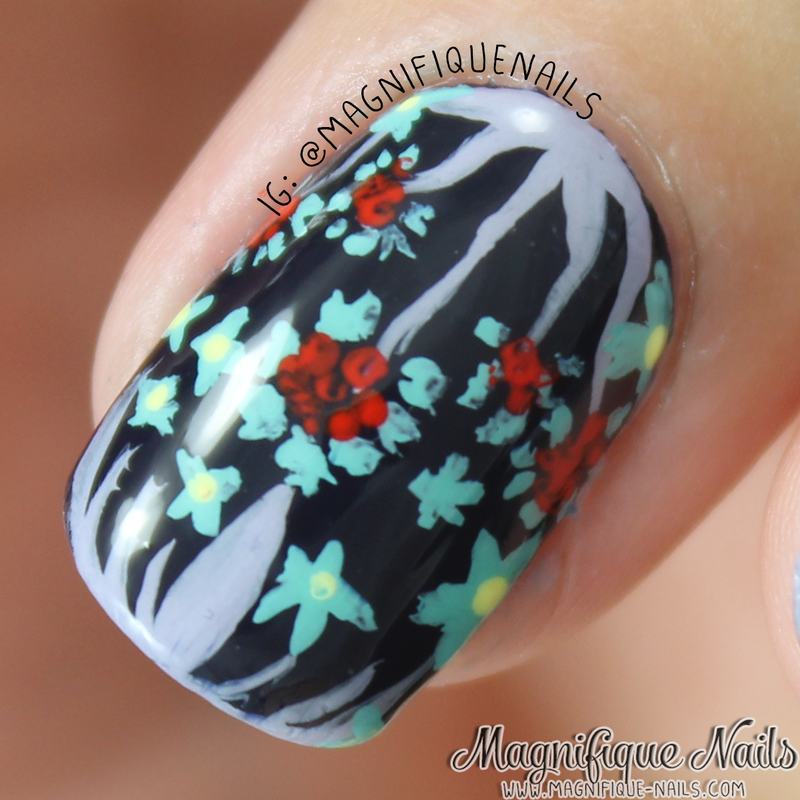 All of the florals were free-handed with a detailed brush, using acrylic paint. Lastly, I sealed the design with H K Girl Top Coat (which is my new obsession), that's it! This was super fun and one of the most difficult to do!